Cut the potatoes in half lengthwise then place in a baking dish. 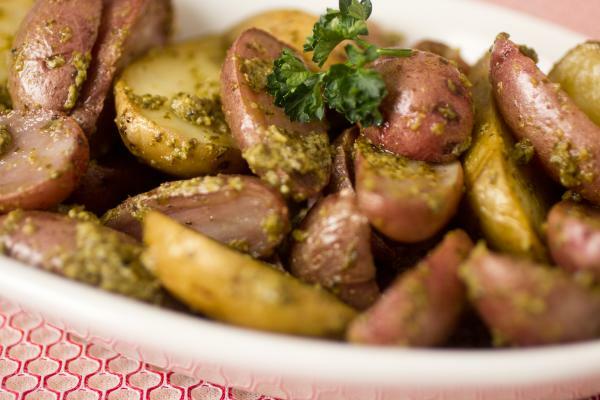 Evenly coat the potatoes with olive oil, salt and pepper. Bake them for 45 minutes to an hour; or until potatoes are tender. 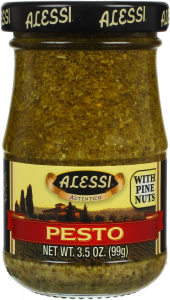 Let potatoes cool for about 3 minutes, and then toss roasted potatoes with Alessi Pesto. Serve and enjoy!